When Walking through the old towns in Spain,each one,just each one is so different from another that the difference makes you feel good and non-repetitive. 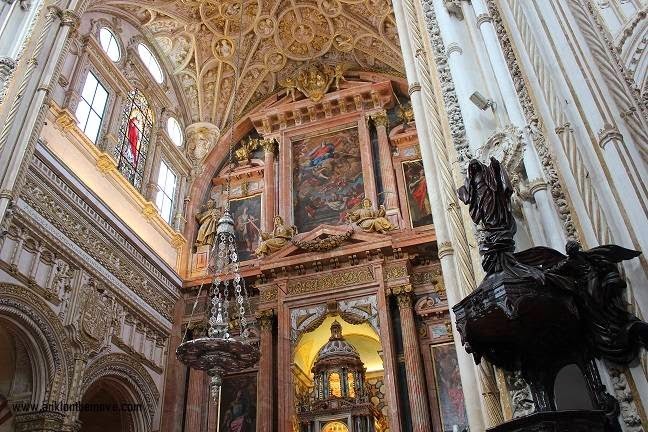 Just as before we were travelling to Cordoba,we made a quick stop to Priego de Córdoba for taking a walk through the Kings and the Health Fountain,Bypassing 8 Baroque churches from the 19th century,and finally tasting the variants of Olive Oil. 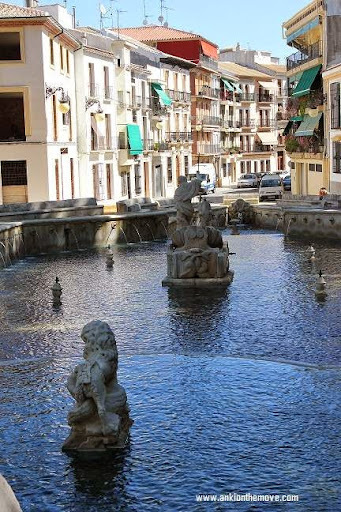 Home to around 23000 inhabitants and surrounded by national parks,there are many bars and restaurants in this area for those who want to enjoy local gastronomy as well as traditional places where Flamenco dance takes place.The Kings Fountain consists of 139 jets of water and has a statue of Greek god in the center. The second fountain is the Health Fountain. 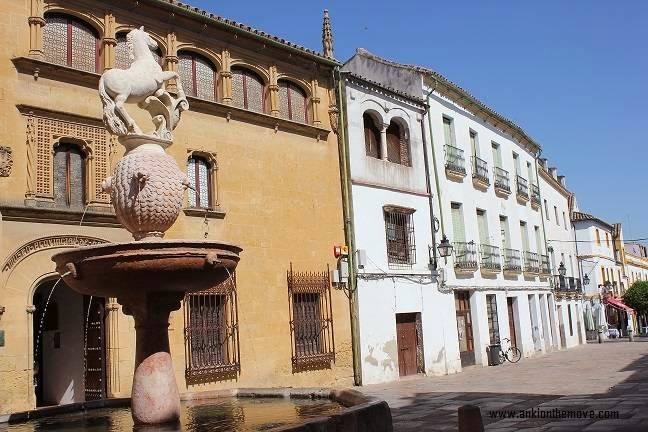 In the medieval times, the Christian kings came to the town of Priego de Córdoba to settle and because people from Priego in the past thought that this water had benefits for the body, it was considered as Health Fountain. The area around has lot of limestone, and with the rain ,the water goes down through them and pass through the spring. 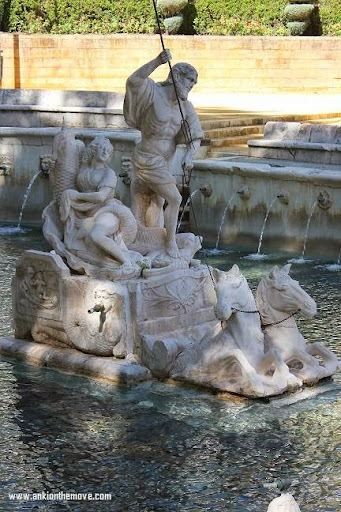 Depending on the quantity of rain, sometimes the water level in the fountain is lower or higher.In winter or first days of the spring, the level is higher ,in summer it goes down. Part of the water from the fountain goes to the Gym. Gym takes the water to other parts of the town and the Kings Fountain and then to the river street which is the main street of Priego. From Priego,what is famous is the local gastronomy and the Olive Oil.The Olive Oil from this region is one of the best in the world,not according to their own opinion but according to many contests in which the first prize always come back to Priego. Olive Oil is the base of their economic development - a lot of people have Olive Trees in their countryside. 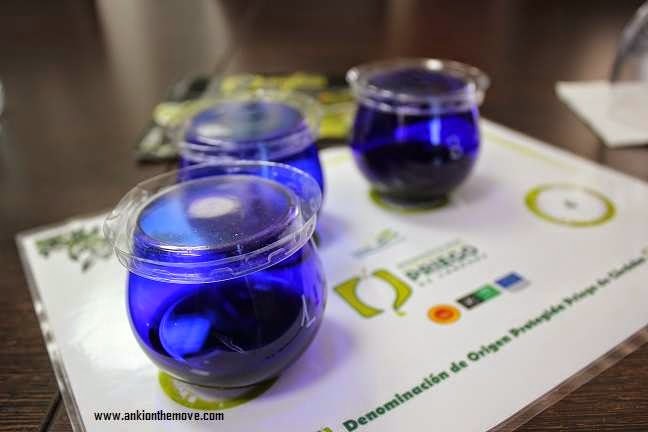 There are 3 main varieties of Olive oil in Priego. And Olive oil acts as excellent Souvenirs to bring back from Priego De Cordoba. In Spain,extra virgin Olive Oil and Vinegar is very popular with bread.It is eaten everywhere. 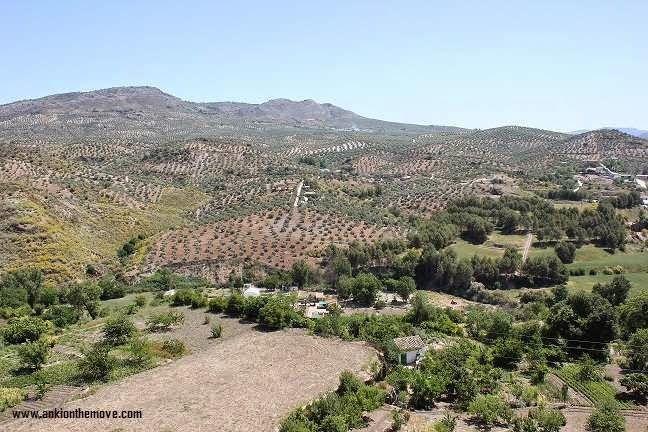 There are plenty of Olive Oil trees in Priego. 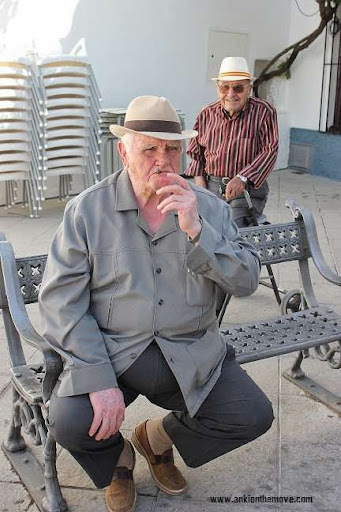 One of the popular actor from this part of the world is a child artist,singer,actor from the last century and a movie was made in 1957 which was shot in Priego which made Priego very popular. One of the main churches in Priego is of Baroque heritage.In 16th century Priego was very important due to the silk industry.In 16th century these small churches were built.In 18th century the silk industry rose,and all the small churches developed into big churches.So the Muslims and the Christians came to Priego to give the people an opportunity to work and to grow up the trees of silk.Narrow streets and white streets,is a tradition of the town.For example,another thing which is very traditional here is a sweet Turrolatte(chocolate made with almonds) chocolate cigar. 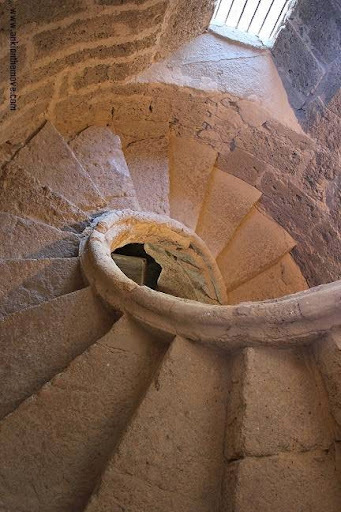 Built over the Royal slaughter house from the 16-17th century,is now a days a cultural place in Priego,where local exhibitions take place and the people of the town who used to participate in local workshops,their exhibits were on display. Since Priego is famous for Olive Oil,a visit to the Olive Oil tasting site is a must do.The production of Olive oil goes through 4 stages - i.e Harvesting,Extraction,Storage and Packing.When the Olives reach the stage of maturity,they are harvested directly from the trees without touching the ground.Then they are passed through conveyor belts where they are cleaned,then extracted and stored in storage tanks after which it goes for packaging. Olive oil is a completely natural product and there are three different types of Olive oil - Lampante Oil(Obtained from naturally fallen Olives.This oil is not fit for consumption hence needs to be refined), Virgin Olive Oil(An oil with slight defects) and Extra Virgin Olive Oil(with no sensorial defect and all flavor and aroma from the fruit).Tasting is very similar to Oil tasting where as in this one,a small amount of Oil is poured into dark colored glass,the glass is held in the palm and rubbed to generate heat and aroma,and then taken in the palate gently .A good oil will have smell of apple,herbs,tomato etc and taste of sweetness,bitterness or pungency. In Cordoba you find more than 40,000 orange trees and that’s why the main income in the city is by making Orange Marmalade. Speaking of incomes ,now a days its much more through Silver and Gold smith factory.In olden days the leather industry was much more prominent.The Patio Festival was going on in Cordoba and by the time we reached,there were 3 winners who had queues outside their home because theirs were awarded as the most beautiful patios. 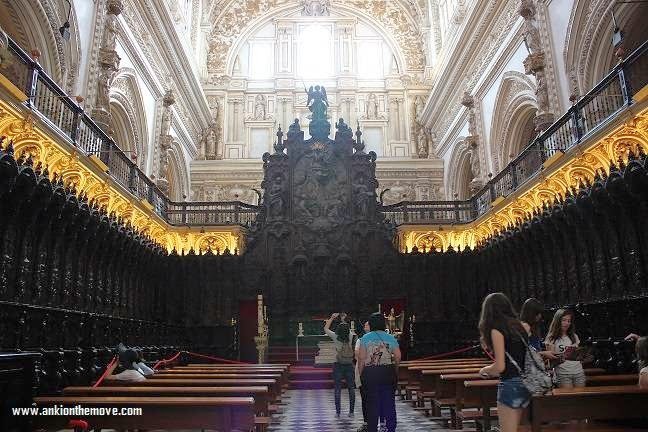 The most important building in Cordoba is of Mesquita Cathedral. The Mesquita Cathedral is a cathedral with a mosque and a cathedral inside. 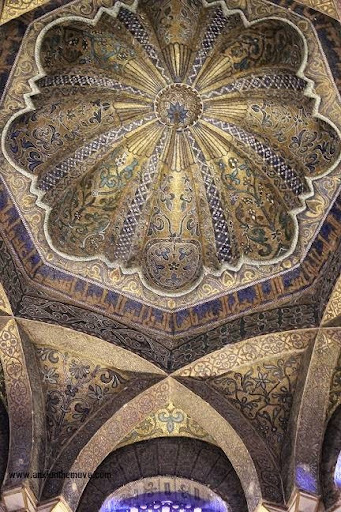 The interior pillars of the mosque are stunning, and the Christian church, built within, doesn't take away from the original interior at all.Just teeming with geometrical art. Later it was converted back into a church by adding on a strikingly different style of architecture, beautiful in its own right, but awkward right next to the mosque.The Cathedral of Cordoba (the Mezquita) is one of the most magnificent religious places of worship I have ever visited because of the rare blend of Roman, Christian (Renaissance, Baroque, Gothic) and Muslim architecture and the long complicated history surrounding its existence in Spain. There had first been a temple to the Roman god, Janus, on this site in ancient times. 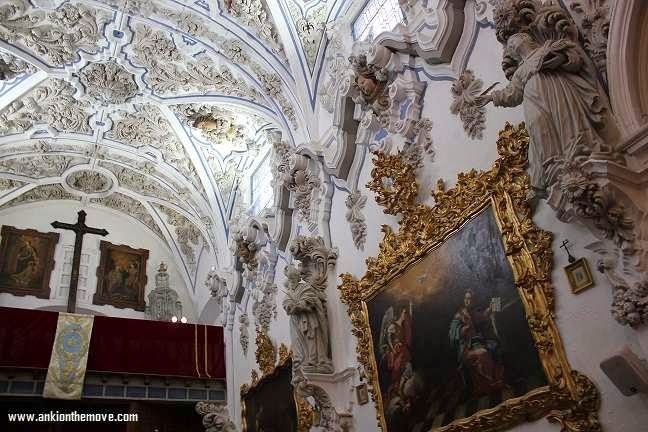 The temple was converted into a Christian church by invading Visigoths who seized Cordoba in 572. Next, the church was converted into a mosque and then completely rebuilt by the descendants of the exiled Umayyads—the first Islamic dynasty from 661 until 750. Each one making more fabulous improvements. 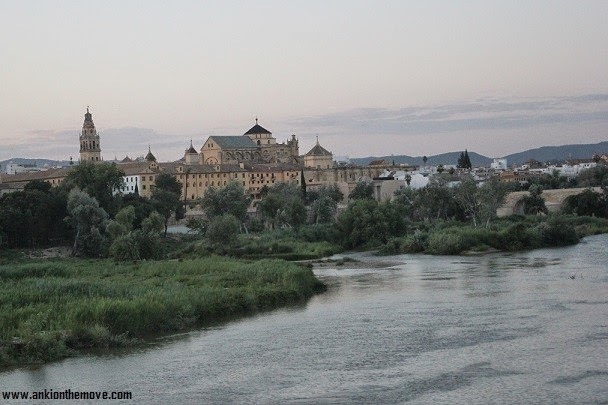 We knew that Cordoba was where Columbus convinced Ferdinand and Isabella to finance his voyage to the new world, but did not know what else to expect. The Catholic Cathedral inside the Great Mosque blew us away. First built in the 8th century, the size and scope is immense. Although we enjoyed the Alhambra, the great cathedral and mosque is unique. Don't miss it. Amazingly beautiful and presented so well! Great pics and wonderful account! You carry around DSLR in your trips? Need advice on that myself! @MagicEye:Thanks MagicEye,it reminded me of Italy from an angle! 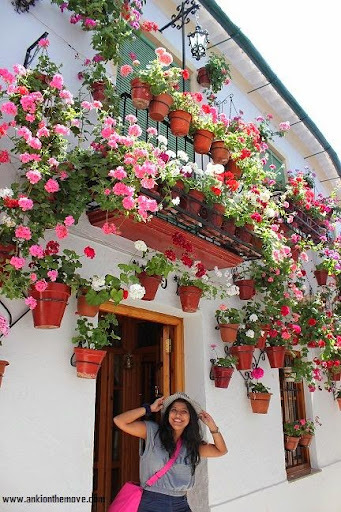 @chaitalibhattacharjee7 Thank you so much.Spain is a lovely country.